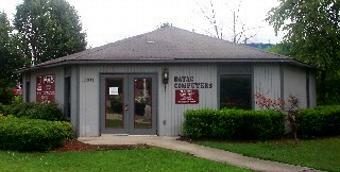 DATAC Computers is proud to celebrate its 21th year as a full service PC repair shop in Huntsville, Alabama. Our showroom is conveniently located only minutes from downtown Huntsville. Our mission is to fully understand our customers' needs and use our years experience in the industry to save you time and money. We offer the finest in new and used systems, and our service is guaranteed. A+ Accedited Member of the Better Business Bureau Since 1992. DATAC Computers & Services, Copyright 2012.